Thanks to my impulse bidding for the World’s largest Rugby Ball – I was the top 2 online bidder. 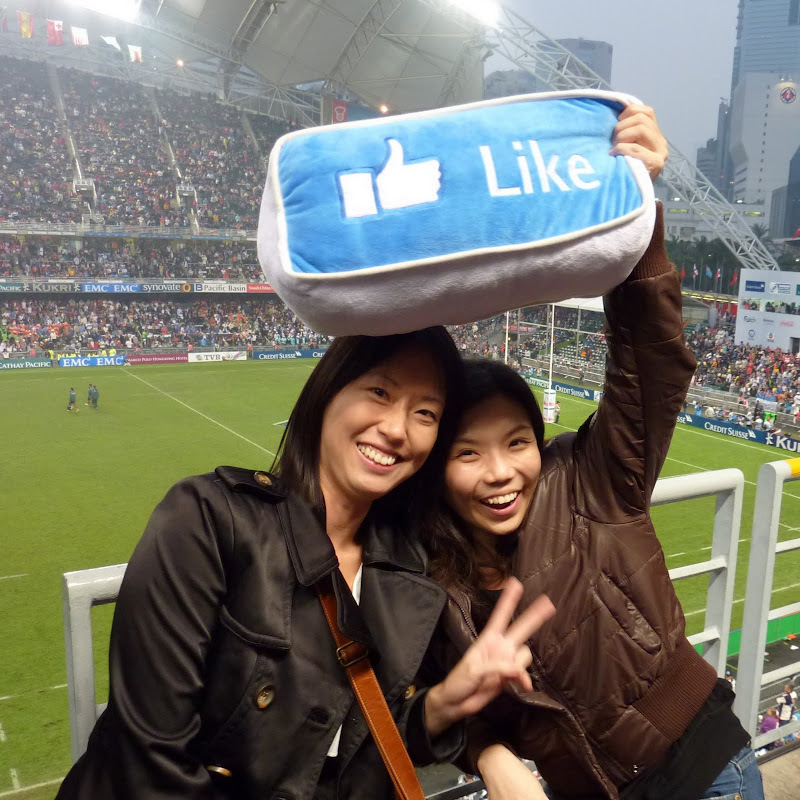 Cathay Pacific rewarded me with 2 Three-Day Tickets to the Hong Kong Rugby Sevens Finals. I gave the tickets to my boss (A big tick for one of my KPIs for 2011) and Tracy & Jean. It was such a shame that I couldn’t go to watch the finals on Sunday as I was away in Vietnam for a conference. The girls had so much fun with the hot hunks at the stadium. It was a drizzling wet day, but it hasn’t dampened the mood of thousands of Rugby Seven’s fans! Crowds were cheering and fans were singing, which made the day not as gloomy as what the sky is. The atmosphere was just bizarre, people sing, cheer and game after game adds on further tension to the finals. 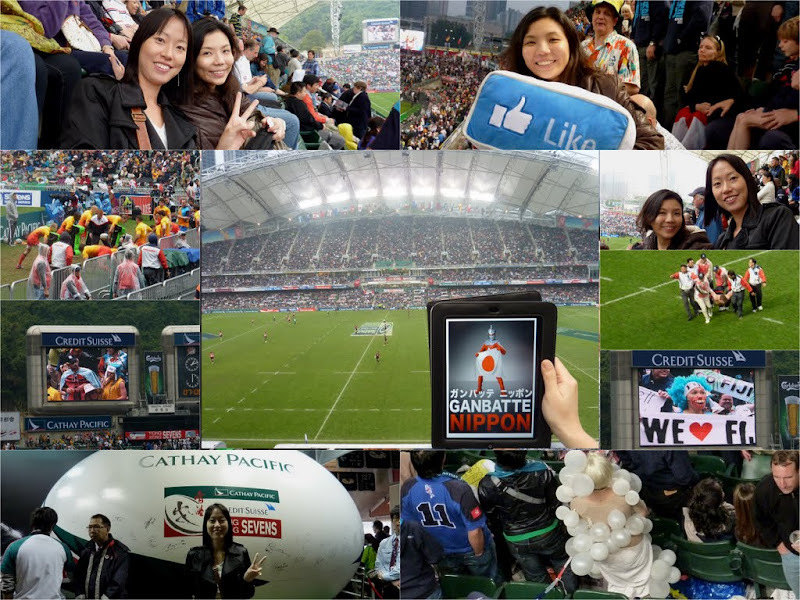 While Japan and Canada was competing for the Bowl Champion, we were cheering loud for Japan. However Canada was a stronger opponent to defeat, leaving the score at 05:19. Not forgetting Japan’s quake tragedy, the commentator also requested for a min of solemnness in the stadium for the victims in Japan. The spirit of Japan remained strong and high despite the lost in the game, God bless them! Finally, it was England vs New Zealand in the finals! Unknowingly, the section we were at, were huge England supporters. We were asked if we were England fans too, of course we said we were! And they even gave us 2 good seats, since we were standing. The crowd went crazy whenever England gets the ball. New Zealand wasn’t that bad either, they lead most of the game making the UK supporters pretty upset, they stopped cheering and my Brit neighbors even fell asleep! I guess they were just pretty disappointed after 10min into the game. England’s score was not close enough to its opponent and New Zealand made throughout the fierce battle. Ending the game at a good 29:17. 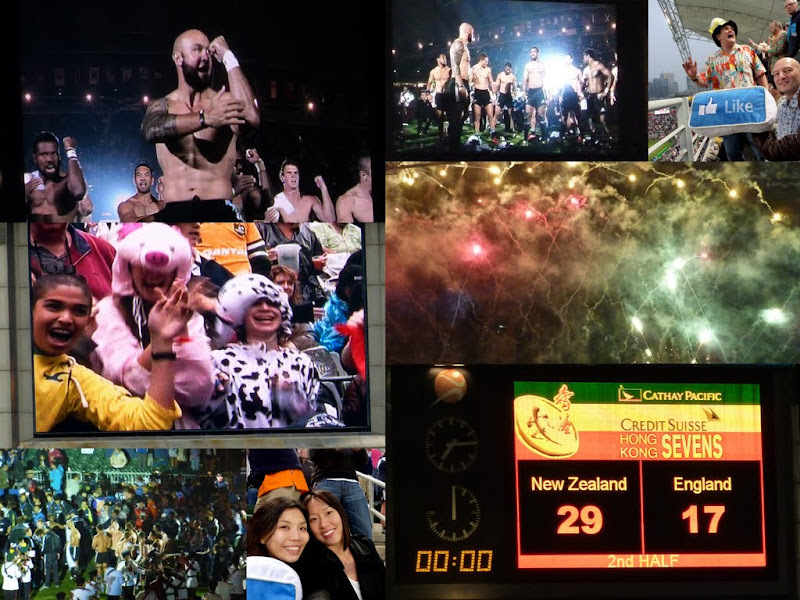 It was still a great event after all, unlike soccer; rugby seven is a fast paced and exciting game.